Plymouth University is pleased to announce the availability of scholarships for international students who wish to study postgraduate taught degree courses. To be considered for one of these scholarships you need to first hold a conditional offer of a place on a postgraduate taught degree programme at Plymouth University commencing in September 2014. If you have not yet applied to us you need to do this first – please complete an application form and see information on how to apply. Minimum eligibility criteria for consideration for award: Equivalent of a UK University 1st class Bachelors degree in a relevant subject. Application: Complete the application form that can be found by clicking on the link below and return this, along with all requested documents, to the email address specified. Please note you must have received a conditional offer of a place for a postgraduate taught programme commencing in September 2014. You must also be holding the equivalent of a UK University 1st class Bachelor degree in a relevant subject. See Terms and Conditions for details. Once all conditions of your offer have been met and the tuition fee deposit has been paid, we will then confirm the scholarship award and issue your unconditional offer letter or CAS. To apply for the Scholarship, please download the application form and instructions. You are an International Student and / or we have told you that you have been classed as an overseas student for fee purposes OR you are a student from the Channel Islands and have been classed for fee purposes as such. You hold a conditional or unconditional offer from the Plymouth University for September 2014 entry. You are coming to the Plymouth University to join one of our degree programmes, at postgraduate taught level. You are a self funded student and not in receipt of an official Government, company or any other scholarship. You have the required grades or marks from an undergraduate (Bachelor) degree, which is equivalent to a UK Honours degree as defined by UK NARIC. Please see details above for grades / classifications required. You must have supplied us with your results in an acceptable and verifiable format, for example if we have requested certified copies or original documents you must supply these. A student can only be in receipt of one scholarship or discount, and it is only valid for entry in the current academic year. If a student is awarded either scholarship # 2 or #3 above, after already being offered scholarship #1 or another discount, he/she will only be awarded the higher value scholarship. Scholarships awarded may not be deferred. If a scholarship is offered and the student wishes to defer his/her start date, the scholarship must be re-applied for and may not be awarded. Award of scholarships can only be made if complete applications, and supporting documents, are submitted before any deadline stipulated, and if scholarships are still available to award at that time. Any offer of scholarship can only be awarded once you have completed the scholarship application process (for scholarships 2 and 3 above), and once the University has confirmation that your qualifications meet the eligibility criteria (for all scholarships). We will only confirm your scholarship award once all the conditions of your offer have been satisfactorily met, and your deposit has been received. At this point we will issue your unconditional offer letter and CAS number (if applicable) and will confirm to the UK Borders Agency the amount of fees you must pay. The Scholarship value is in pounds sterling. The scholarship award may not be used as a partial deposit or tuition fee payment or in lieu of a deposit payment. 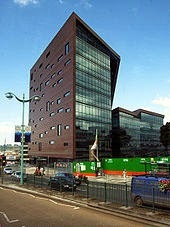 Scholarships are only awardable for degree students enrolled on their course at the University – non-enrolled students, exchange students, students studying only part of the postgraduate course are ineligible, or students studying Masters programmes awarded by Plymouth University but delivered at partner colleges, i.e. University of Greenwich / Schumacher College. Plymouth University International Office Scholarship Committee’s decision on the awarding of scholarships is final. Students may be requested to submit additional documentation in support of their scholarship application. Demikianlah informasi mengenai International Student Merit Scholarship, University of Plymouth, UK semoga berguna bagi anda.